Genever. Yeah, we didn’t know much about it either. It sounds like someone mispronouncing the Swiss capital or the pseudonym of one of the ‘ladies’ found in the rouge hued windows of central Amsterdam. Genever is in fact the juniper-based national liquor of the Netherlands, and so with our juniper-senses activated, we naturally had to try it. Genever has two classifications: jonge (young) and oude (old). Interestingly, the spirit can only be distilled in The Netherlands (and nearby) as it is a protected spirit category. As the oldest in the business, the Bols family started distilling genevers in 1664 and in 1820, they formulated the Genever recipe that they still use today. Nowadays, they produce two types: Bols Genever and Bols Genever Barrel Aged. Both of which we tried. Both of which we loved. The Barrel Aged is more bourbon/whiskey like and this would be something we’d enjoy on the rocks. 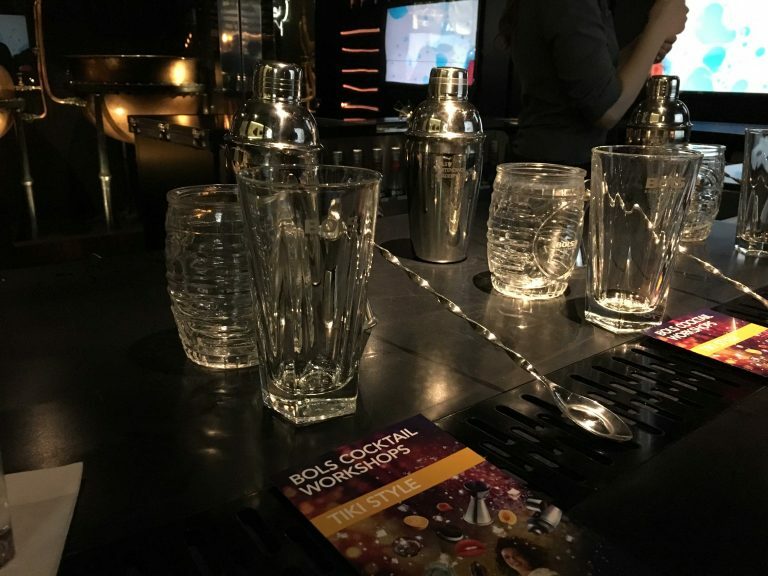 The House of Bols wasn’t a distillery tour like we expected, it was so much more than that – a ‘Cocktail and Genever Experience’. An experience it was, which started as soon as you walked in to the unassuming building located opposite some of the city’s most famous museums. 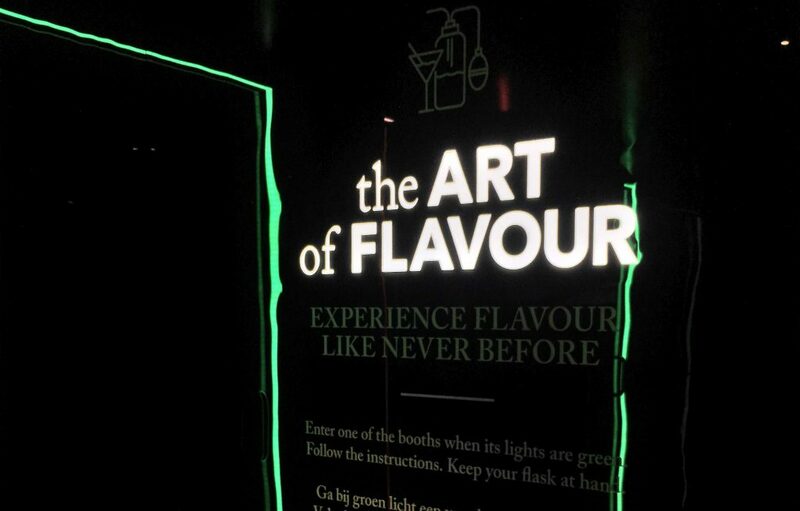 Typically, they encourage you to do the interactive tour followed by a complimentary cocktail before the masterclass. But we arrived only minutes before the workshop begun (we were sampling other liquor elsewhere – naturally) so we chose our cocktails from The Mirror Bar and headed straight for the workstations. We imagine that we’ve become quite transparent with our drinks preferences, so you won’t be surprised to hear that D swiftly ordered the ‘Strawberry Cheesecake’ and A institutionally chose a ‘Genever and Tonic’, shock. 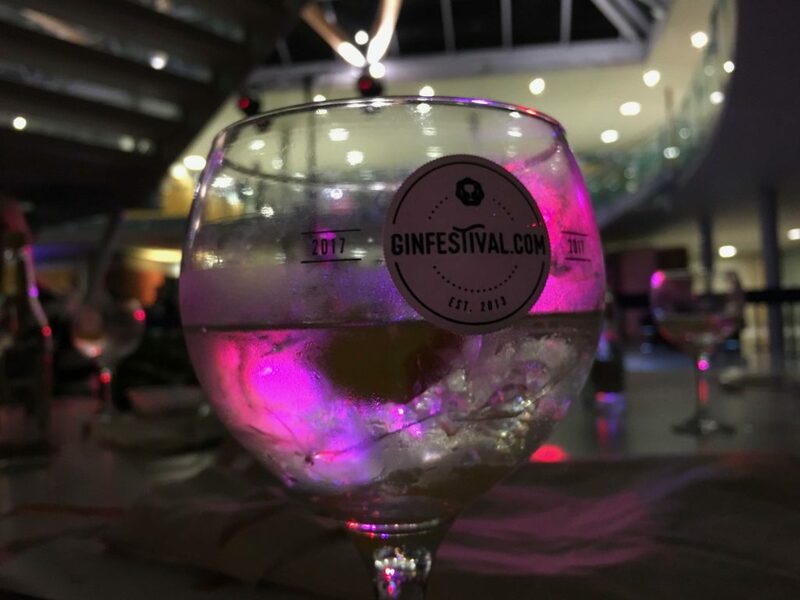 Along with four other gin-lovers, we took our place at the workstation and the masterclass began. Our host Ellen explained how it would work: we would make 2 cocktails, a Mai Tai and a Passionfruit Daiquiri in the ‘Tiki Style Cocktail Workshop’. We learnt the ins and outs of how to mix a cocktail correctly, learning which ‘tools’ to use and why, and which garnish best accompanies what. But that’s all we’re saying. Our lips are sealed – we don’t want to give too much away as we would heavily recommend this experience to anyone visiting the city. 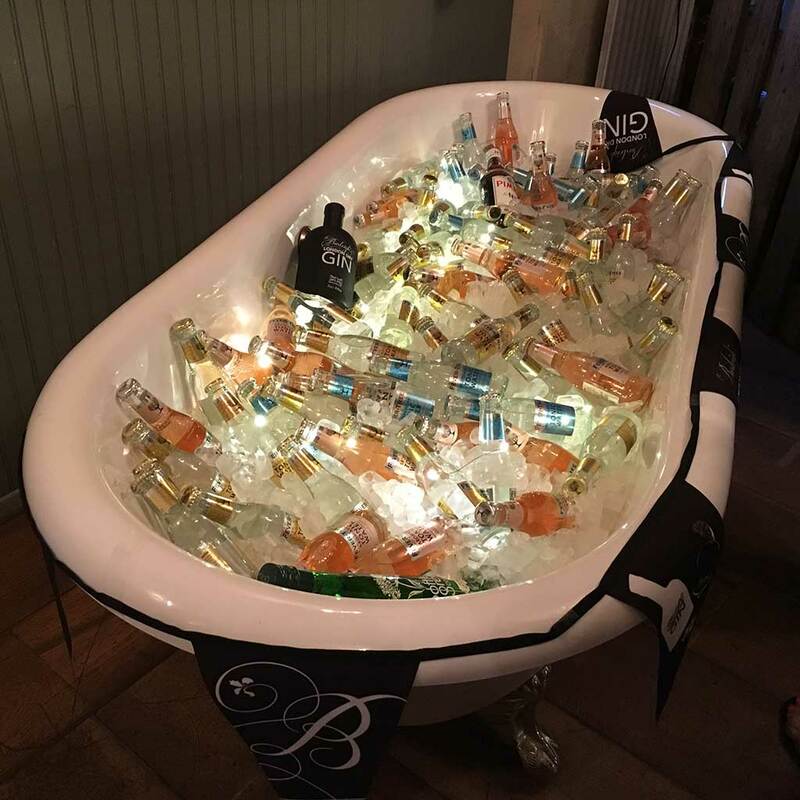 It was thoroughly interesting and if we ever go back to Amsterdam, we’d be straight back to House of Bols for another cocktail masterclass – without a doubt! 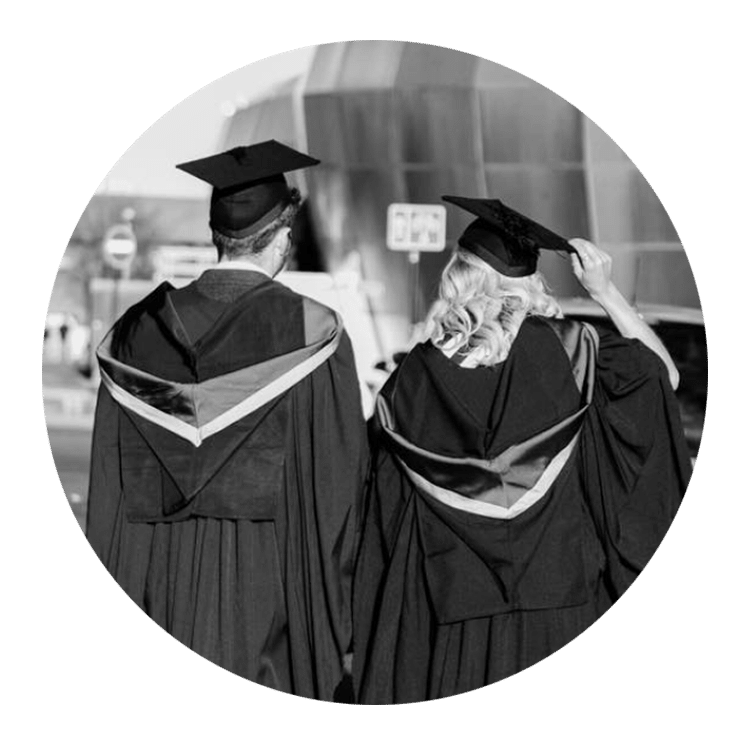 We did not in fact fall down a rabbit hole, although A did nearly fall down the stairs after perhaps having a little too much to drink… But it was all in the name of research right!? 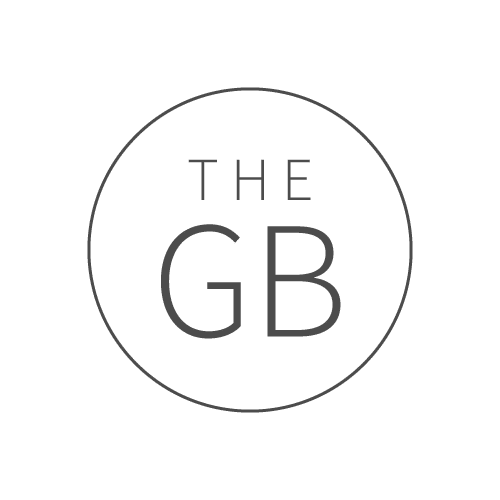 The first two rooms did the typical history and information about the brand, including a beautiful glass cabinet of genever-filled ceramic houses and displays of various distillery paraphernalia. But turning the corner was when we entered into Wonderland, three mysterious doors were lit up in green. Vials in hand and sniggering that it was like entering the ‘BB diary room’, we each approached a door and stepped inside. It was pitch-black, with a mirror giving enough light to instruct entrants to stand on the footprints on the floor. What we honestly believe was God’s voice telling us to drink the alcohol (this happens to us a lot more than you’d imagine), we tentatively drank the vial. There were lights. There were sounds. The room was vibrating. 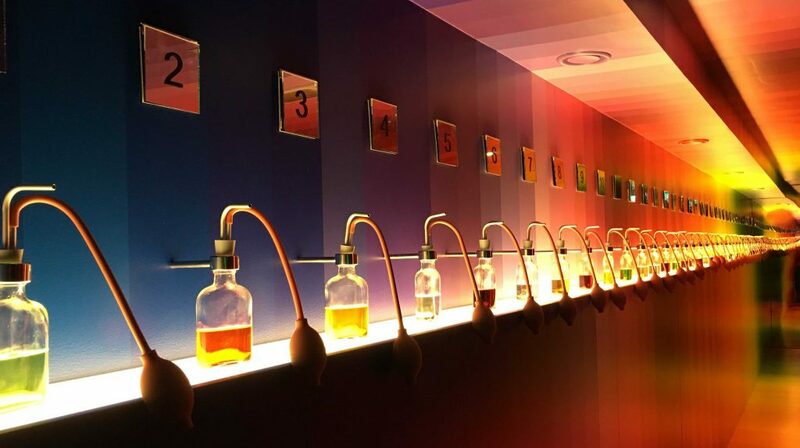 All of a sudden we weren’t sure if we were still at the House of Bols or if we were in the middle of a psychedelic trip in one of Amsterdam’s infamous coffee shops! The mirror contorted beams of lights and shapes around the booth, and the reflection made it appear that your face was growing, and then shrinking. SO bizzare! And then it stopped, everything was still. It didn’t actually last longer than a few minutes, when we stepped back out of the booths, we both thought that the rather contraire experience had lasted so much longer than it had! The sensation didn’t stop when the lights came back on either, we were giggling and tingling all round the rest of the tour. The reason behind the experience, besides the novelty factor, was to prove that all of our senses are involved in what we perceive to be ‘tasting’ something. 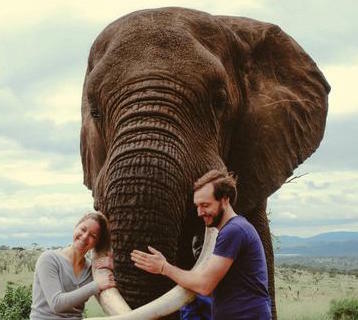 It’s everything: smell, sensations, sight. You know when you try to make Sangria to serve a summer BBQ but instead of feeling like you’re back on holiday, you’re still very aware that you’re sat in your back garden drinking cheap red wine mixed with fruit… It’s just not the same. It’s the rest of the senses – the heat, the sand, the breeze, that amplifies it. 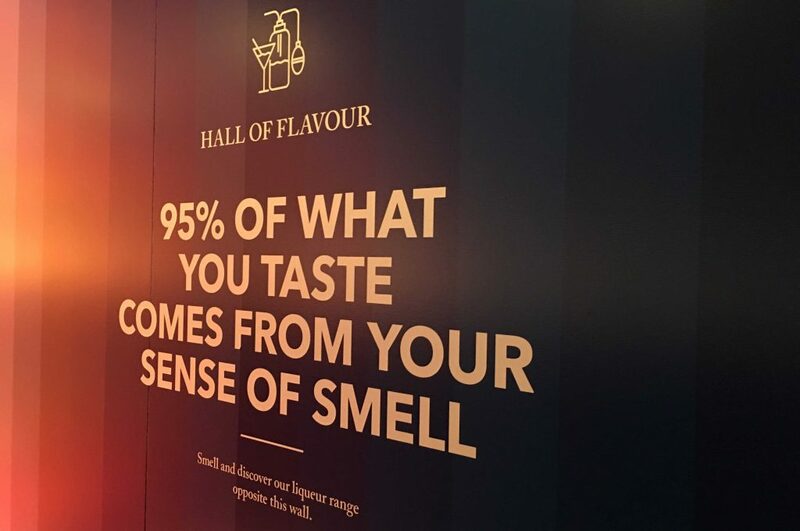 And if we’re honest, this really did reiterate the importance of engaging all of the senses to get the most out of an experience. 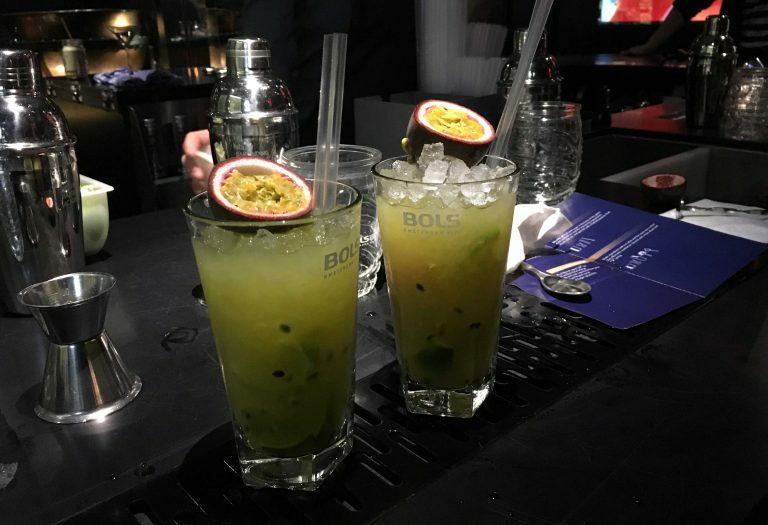 After our new finding that alcohol is SO much better when the surroundings in which it is drunk are DOWN-RIGHT COOL, we headed back up to the House Of Bols’ Mirror Bar to put the theory into practice.